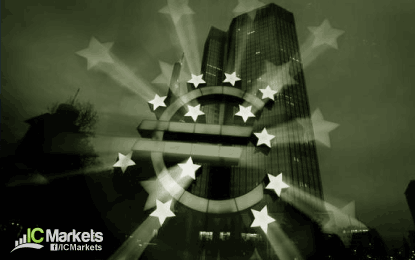 After initially recovering during yesterday's EU session, the Euro came again under pressure during the NY session and extended losses overnight. EUR/USD fell to a low of 1.0655 and there is now little support until 1.0500/10. EUR/GBP also fell below a significant support level at 0.7035 and it slowly heading towards a test of the 0.70 level. Next major support is seen at 0.6950. Meanwhile, GBP/USD continues to consolidate, but it's getting close to the 1.5170 support level and a clear break below would pave the way for a move back to 1.51 and eventually 1.5025. USD/JPY bounced off 122.20 yesterday and didn't look back. It rallied to 123.10 and extended gains overnight, reaching 123.40. Decent resistance is expected at 123.60 and then 124.50. AUD/USD has been quiet since the new trading week started. The 0.7080 support level is holding for now, but it is looking fragile and a retest of the 0.7015 level seems likely. NZD/USD is already under pressure and with the 0.65 support level cleared, the focus is now on 0.6385.